It is my great pleasure to announce that St. Britto High School, Mapusa has opened a new web site. 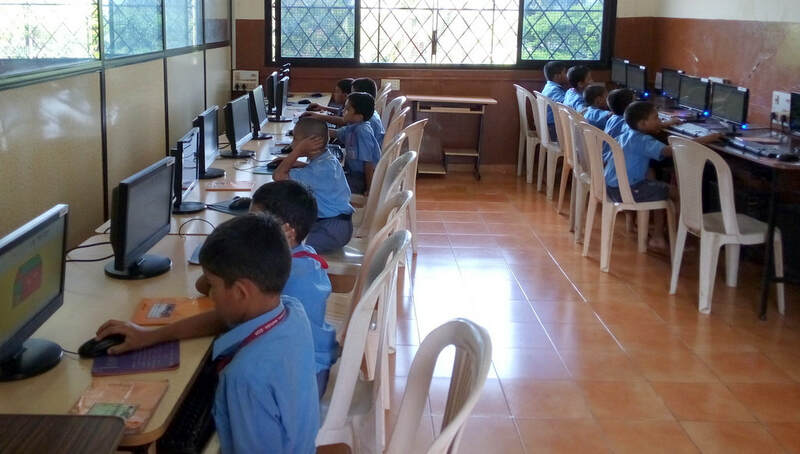 The school has progressed in leaps and bounds and has become one of the leading institutions in Bardez. Our students are doing well in every field and bringing laurels to the institution. Many of the ex-students are not aware of what is happening in this institution and hence the need to start a new web site. Now our ex-students can have a glimpse of what is happening at St. Britto High School and render whatever help possible for its growth and development. The St. Britto web site will only give you a true image of what St. Britto is today. The Jesuit management has a great wish to establish a link with all its ex-students. It is unfortunate that we have lost contact with our ex-students. Hence we wish to re-establish the contact once again. Your valuable ideas and suggestions will come a long way to help us further progress and provide better facilities to our students. Yes. St. Britto High School still needs to develop further. There are still many projects to complete. But no project can be completed without the generous help and support of the Britto community that includes parents, well-wishers, ex-students and benefactors. The school web site will give you an insight into our needs at the moment. So let us put our heads and hands together, put away all our differences and work together to put into practice the motto of our school “Facta non verba” which means “Deeds, not words”. Hope to receive an overwhelming response. Let us keep the Britto flag flying high. The New pre-primary/multipurpose block was inaugurated on 13 September 2017 ! Read all about it here.. Learn about the School ! Our Facilities & Programs ! The demand for our School grows ever stronger. To build the infrastructure and facilities to cater to the needs of the community, we need your help ! Please contribute ..